What’s a good thing to do on a Sunday? I have a couple of friends who always struggle with this question whenever there’s a plan to get together. Hugely because Sunday is the only day that Kelvin, Cat, and I could agree to meet. With the three of us, our choices are tipped by history, culture, and our respective fandoms. And last Sunday was the biggest and most-packed date yet. And what better way to start the day than with a lot of food! From the old Sta. Cruz Church near LRT Carriedo station, we walked into Chinatown, which is – from what I know – the oldest Chinatown in the world. It is also officially known as Binondo. The 10:30 morning sun was raging in the sky and the sweat made me lose my bearings for a moment. But I got it back soon enough when I got under a shade. Our first stop was Cafe Mezzanine. From what blogger-best friend Pam told me, it’s run by the volunteer firefighters. So up we went to the 2F and into the small cafe. It wasn’t cramped. It looked too dark to me though. When the menus were handed to us, I was pleasantly surprised that it was a breakfast menu! I was almost certain that Kelvin and Cat could use more breakfast food. Kelvin had the Pork Adobo Pan de Sal (not pictured), Cat chose the Pork and Shrimp Siomai (not pictured), while I ordered Chicken Pan de Sal paired with Mushroom Omelet. My two friends finished theirs without complaint. Guess they were still quite hungry after leaving their homes. Meanwhile, I was shocked that the Mushroom Omelet was not a solo. Not that that was bad. I shared it with the friends. Frankly, I thought the Chicken Pan de Sal would be a stuffed pan de sal, like what a certain convenience store has. But the sandwich order, which comes in pairs, is quite good. And becomes so much better with Mushroom Omelet! I suddenly fell in love with Cafe Mezzanine. 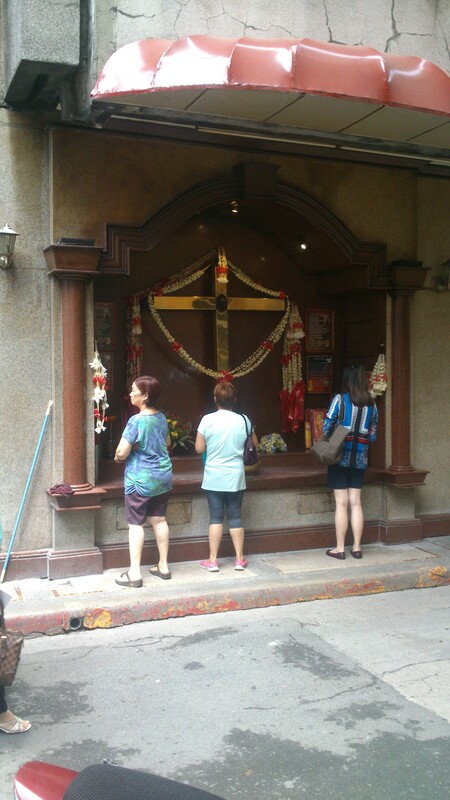 Before we hit the next restaurant, we stopped at street-side shrine of the Cofradia de Sto. Cristo de Longos; it shelters a golden metal cross, kept company by incenses and their wispy smokes. Our next stop was Wai Ying. The first floor was already filled. Thank goodness it has a second floor. Up we went and seated ourselves near the window. Kelvin warmed himself with White Chicken Mami. Cat was curious about the Roasted Duck Rice. I opted for just Egg Tarts and Buchi. Cat said that, despite the sauce of the Roasted Duck Rice looking rich, it wasn’t. The meat was tender enough but could have had more flavor to it. Kelvin liked the White Chicken Mami but did not finish the broth because all that MSG could induce a headache. All my dimsum were good enough. I like that they were piping hot. I couldn’t handle them for minutes after they were put on our table. Third stop was Tasty Dumplings. We would’ve been there sooner had we not passed it. 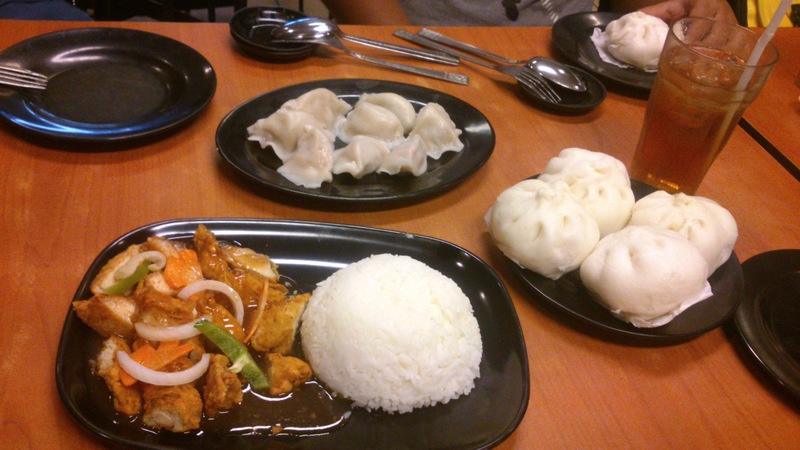 Kelvin and Cat wanted Dumplings and Tsay Mah Pao while I just had to have Sweet and Sour Chicken. The sauce was true to the taste and the meat was surprisingly crispy! Guess they cooked them separately. It was so good. And I loved their Winter Melon Juice. I would’ve had more but had to move. The National Museum is just one short jeep ride from Chinatown. So off we went to have a look. It’s been more than two years since I was last there. 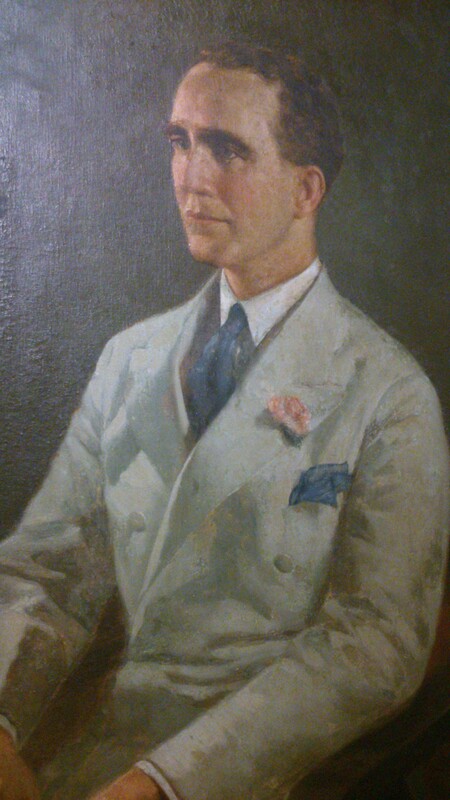 The masterpieces by the late great Felix Resurrecion Hildalgo were still housed in its own hall. Spoliarium continued to be chained. And I remain ignorant of what happened with Governor Bustamante. Some of the galleries were shuffled. I remember some of them from different floors and other rooms. Not that I was complaining. While looking intently at one of them, I couldn’t help but notice it had a striking resemblance to Tom Hiddlestone. 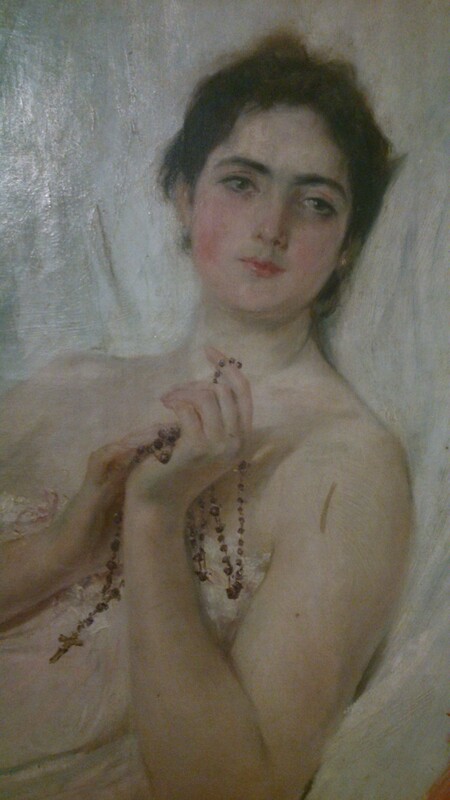 Kelvin pointed out to us the supposedly cursed painting of Juan Luna, the “Mi Novia” (My Girlfriend). It’s thought of as the portrait of his wife but it does not look like his wife. According to Kelvin’s readings, the previous owners of the portrait have experienced various misfortunes. There many strange things to see at the museum. When I got to the religious artifacts, I saw the retablo again! It was still there. And still in half. Up we went to look at more paintings but 2:30PM struck. We had to exit because we wouldn’t want to miss our next appointment. Where were we headed? That’s for another post.